Clinical experience is a good start, but doctors who pursue business credentials improve their chances of achieving key leadership positions and other important roles in health care. 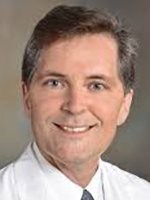 Peter Pisters, MD, MS, CPE, is already at the top of his game. His status as president of the University of Texas MD Anderson Cancer Center in Houston is only the most recent addition to a curriculum vitae filled with distinguished positions and career accomplishments. In short, he’s a smart guy who probably could coast on the education and experience that got him where he is today. But he won’t. What: Includes institute (expert-led courses), physician wellness presentations, member-led topic presentations, annual association meeting, Vanguard meeting (exclusive to Vanguard members) and multiple networking opportunities. 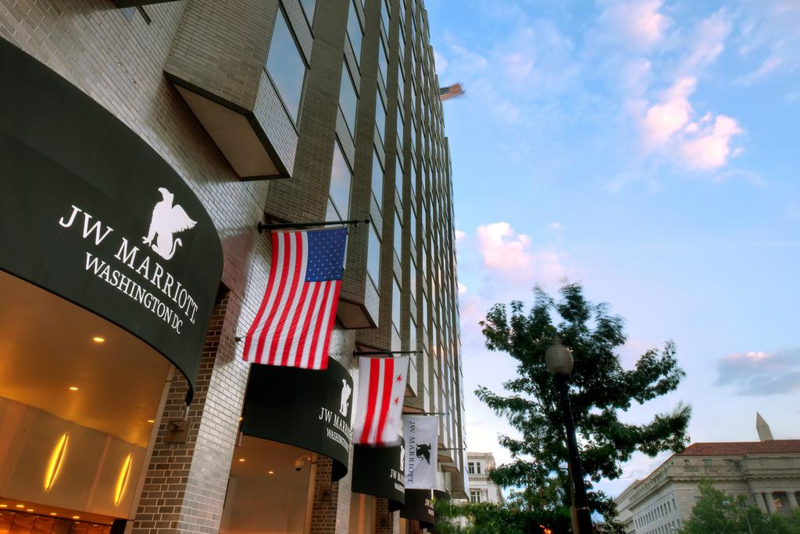 Where: JW Marriott, Washington, D.C.
Reservations: Call 1-800-393-2503; group rate expires April 10 or when the room block sells out. Registration: Go to physicianleaders.org/spring; AAPL members receive a 15 percent discount on live events and courses. An advocate of cultivating curiosity and embracing lifelong learning through formal education, Pisters acknowledges stretches of feeling “intellectually stale” that drive him to ramp up his education and chase the challenges that come with advancing his career as a physician leader. Responding to such gaps in traditional training — and the demand of medical students seeking business degrees — MD/MBA combined programs in the United States have spiked from six to more than 65 over the past decade. According to a 2010 study by Joshua T. Goldman, MD, MBA, 91 percent of graduates said their dual degrees were worth the extra time and cost — and 89 percent said they enjoyed “significant” return on the investment. The bump in salary for physicians with advanced degrees is significant, according to the 2016 Physician Leadership Compensation Survey, conducted by Cejka Executive Search and the American Association for Physician Leadership. Physician leaders with an MBA earned 13 percent more than those with none, it shows. And those with CPE credentials earned 4 percent more. That same survey shows the average salary for physicians is $350,000, including $437,000 for CEOs and $388,000 for CMOs. Reaching such positions, however, generally requires the credentials that come from continuing education. Pisters grew more aware of his own need for higher credentials when MD Anderson selected him, as a professor, to represent one of its divisions internationally. That opened his eyes to the scope of the organization. He accomplished that by pursuing three external pathways: the CPE track through AAPL, a master’s in health care management and ACHE fellowship certification. Within a year of getting his master’s degree and CPE credential, he was hired as president and CEO of University Health Network in Toronto, Ontario. Pisters was deliberate in his plan and purpose to pursue continuing education, but the path to executive leadership isn’t as calculated for every physician. When Gregory Mishkel, MD, MBA, was in medical school, the idea of getting an MBA never crossed his mind. Med school was tough enough. Business education wasn’t on his radar, and neither was leadership. That changed, however, after a series of health issues — three back operations, an acutely ruptured disc in his neck and a partial nephrectomy — forced him to phase out his practice as an interventional cardiologist at Prairie Heart Institute in Springfield, Illinois, for a full-time executive position. Months later, he answered his own question when he was named executive medical director at Prairie Heart. His objective: “Deliver the kind of care that I’d experienced” at Johns Hopkins. To make that happen — to become an effective leader — he knew continuing his education was essential. “I was maybe a year in as executive director when I realized that if I wanted to do this better, I really should think about getting an MBA,” he says. A year after getting his MBA, he was named vice president of cardiovascular services and chief of division of cardiology at Northshore University Health in Chicago. He started in January. Pat Torcson, MD, took what he calls the “traditional” path to physician leadership: He was drafted. Making the rounds one morning at St. Tammany Parish Hospital in Covington, Louisiana, he received a page saying he’d been nominated to run for the medical executive committee. A true honor, he was told. His answer? “Thank you, but no thank you. I have no interest in administration or going to more meetings,” he says. With that friendly push, Torcson’s work with the committee opened doors for him to develop leadership skills with courses through AAPL. Applying those course credits toward a master’s degree in medical management, he remembers a professor telling his class that the program typically results in about one-third to one-half of all physicians making some kind of career change. The Certified Physician Executive credential tells employers the bearer is not only an accomplished physician, but someone who also has the necessary leadership, management and communication skills required to effectively improve the quality and efficiency of a health care organization. Candidates must follow a required curriculum (150 hours of tested management education) or have a relevant graduate degree, and then successfully complete the 3½-day capstone event. Click here for details. However, his coursework — coupled with extensive self-reflection and a burgeoning interest in quality and performance — inspired him to abandon primary care for hospital medicine. His MMM degree led to his promotion to director of hospital medicine at St. Tammany a year later. The degree “was extremely important and valuable because, although I had a lot of clinical knowledge, my knowledge around management and traditional business management skills was limited,” Torcson says. Advancing to chief medical officer wasn’t an immediate goal, but he turned his focus to developing the proper skills so he’d be ready if the position ever opened. Eventually, it did. 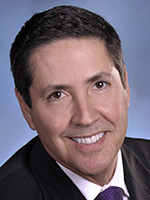 A year after completing his master’s degree and CPE education, Pisters was named president and CEO at University Health. Three years later, he returned to MD Anderson as president. Was there a correlation between his advanced education and promotions? At MD Anderson, experience for a top executive position was important, he was told, but so were formal training and leadership skills. Mishkel, meanwhile, was one of two finalists for a position with a stated preference for candidates with MBAs. Continuing education means different things to different physicians. For Pisters, his master’s degree and CPE credential meant a complete leadership skillset, comfort in navigating difficult situations, an understanding of how academic and corporate organizations operate, “and how to combine the best practices of academia and Fortune 50 companies,” he says. For Torcson, it meant applying the business skills he’d acquired to launch a startup hospitalist program that included a business plan, a financial pro forma, and recruiting and hiring practices that were encouraged, supported and adopted by the administration. 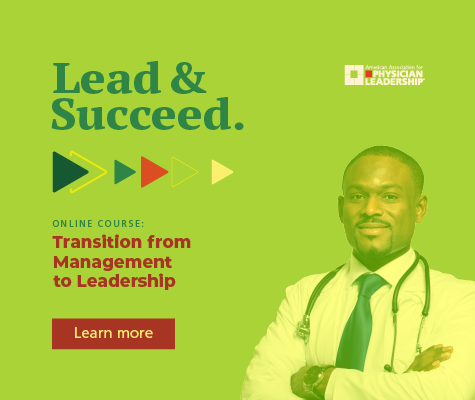 The American Association for Physician Leadership offers certifications, and live and distance education for health care leaders at every stage of their careers. Courses range from the essentials (such as accounting and health law) to advanced concepts (such as high reliability). Click here for details. AAPL also can develop customized programs for organizations to address internal needs and inspire specific change with strategic, operational and financial leadership development. Click here for details. 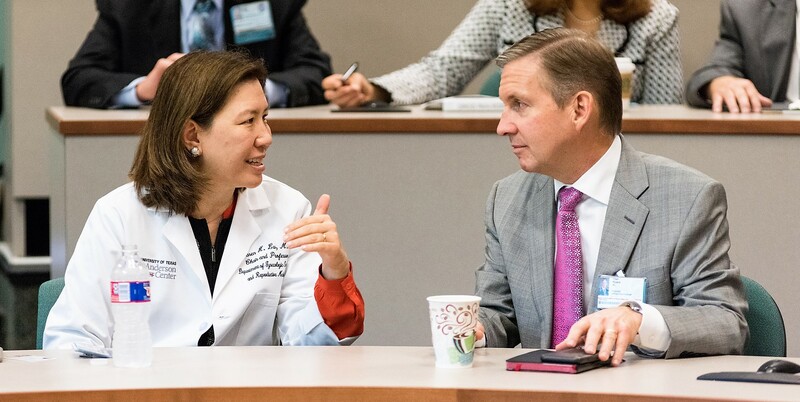 For physicians seeking master’s degrees with a focus in health care leadership, AAPL has partnered with five universities that recognize association courses as prerequisites. Click here for details. Pisters is such a believer in continuing education that when he was vice president at MD Anderson, he’d bring his team of medical directors to AAPL institutes twice a year. Pisters says he’s excited to lead his organization, but he knows he didn’t get to that position without some help. 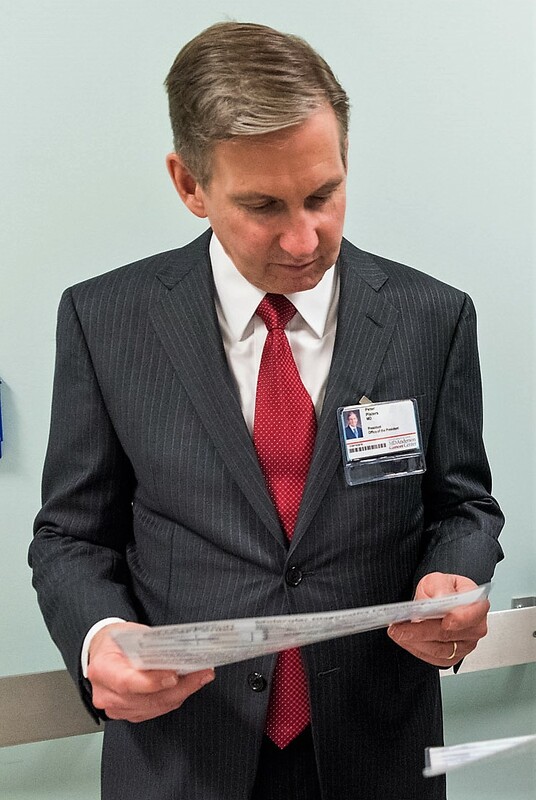 Torcson admits to “swinging for the fences” last year when, as director of hospital medicine at St. Tammany, he applied for the organization’s CEO position. The search committee acknowledged being “blown away” with his interviews but selected a candidate with CEO experience. A few months later, the hospital’s chief medical officer abruptly retired after 35 years, and Torcson, on the strength of his CEO interviews, immediately was offered the job. He already has plans, however, to close those gaps through continuing education. If there’s ever a need for a physician with clinical and executive-level skills, he wants to be ready. Andy Smith is a senior editor for the American Association for Physician Leadership.